Chebe Cinnamon Roll Mix is free of gluten, lactose, and other common allergens. It is quick and easy to prepare, has a great texture... and is unusually good! Gluten, soy, corn, rice, potato, yeast, peanuts, tree nuts, egg, lactose/casein, iodine, sugar and GMO. They tasted better than they looked and I was able to make 10 cookies from the dough. My kids though that they were cinnamon cookies and devoured all of them in a day. I will definitely try them again and make them correctly. Want to try it for your self and save $10 on you order please click HERE for all of the details. 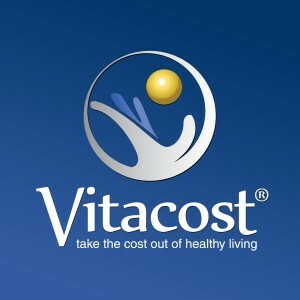 Vitacost has so many different items and brands to choose. So give them a try! Disclaimer: I was given a free package of the rolls for my honest review and I was not compensated for my review. Amazing review! and the cinnamon looks delicious! Even though they dont look so great, I am sure they tasted better than they looked. I am always trying to find new gluten free products for my family. thanks for the review.